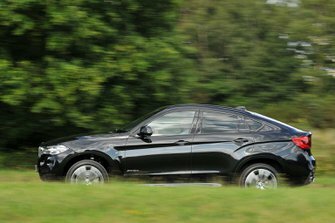 Few cars divide opinion like the BMW X6. It initially seems that nobody is fond of its looks, but walk down the street and you’re very likely to see one gliding past; BMW has had no problems selling them. That’s less surprising when you consider that, underneath, the X6 is based on BMW’s impressive X5. However, it trades the X5’s better practicality for a sloping roofline in the name of aesthetics, whether or not you think that is a good idea. But it is no longer unique. The Mercedes-Benz GLE Coupé and Range Rover Velar are both aiming to do exactly the same thing, and while luxury SUVs such as the Audi Q7 may not have the sleek lines, it has to be considered as a premium SUV alternative. 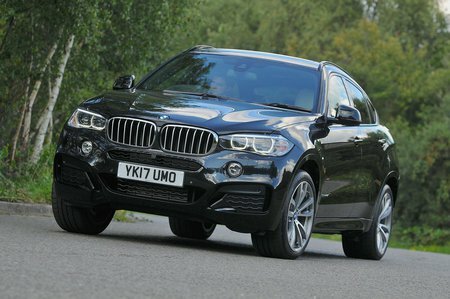 Click through and, by the end of this review, you’ll know what the X6 is like to drive, what its interior is like and how it stacks up in terms of costs versus its closest rivals.